The Bouvet Island is the most remote island in the world. 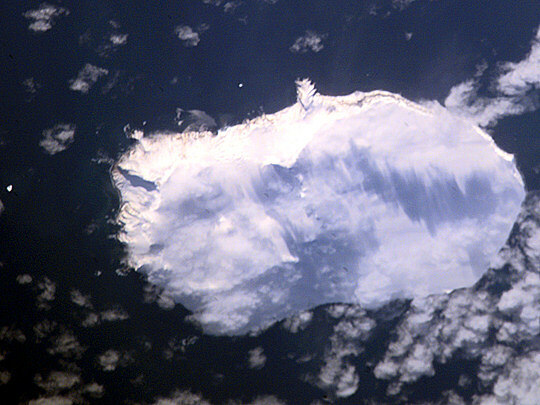 This Antarctic island is located in the South Atlantic Ocean and dependent territory of Norway. The coast of the island has been hardened by heavy wave action, making it hard to access by other means then helicopter from ship. The core of the island consist of a glacier-covered volcanic crater. Most of the island is covered in ice, but on a lava shelf on the west side there is a nesting site for birds. The island is also inhabitated by seals and penguins. The island's vegitation is limited to moss and lichens. The temperature is kept stable to around zero degrees Celsius all year due to sea regulation. Bryggen, Norwegian for 'the Wharf', in Bergen is a series of Hanseatic buildings that follow the fjord towards the city. They were originaly used as office and storage buildings for the Hanseatic League. The first office opened around 1360 AD. After that, Bergen developped into an important trade center, and the space along the fjord was gradually taken over by the league. The buildings are now listed as one of the UNESCO World Cultural Heritage sites. Being made out of wood, the original buildings have been destroyed by fire. Some of the stone basements can be dated back to the 15 century, but the oldest standing buildings of today are not older then from 1702. The last destructive fire was in 1955, but the area was only partually destroyed. Fløibanen is a funicular running from the city of Bergen up into the mountain of Fløyen. Construction of the line started in 1914 and was completed and opened in 1918. The line is 850 metres long. It has two cars, which each can take approximately 80 passengers. They were completely renewed in 2002, and offer wheel chair acces from the top and bottom stations. Between the top and the bottom of the line there are three other stations. Depending on the number of stops, the trip takes between three and seven minutes. 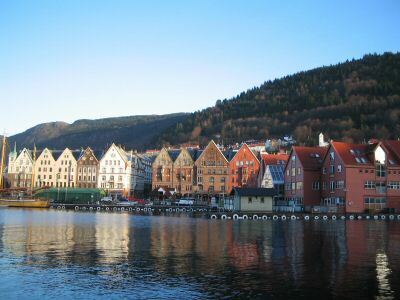 Once on the top, a fantastic view of the city of Bergen is offered. There is also a souvenir shop, playground and a resturant. 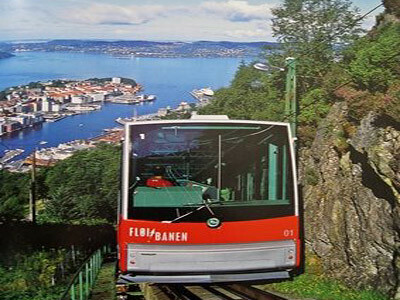 Every year, the track serves about one million passengers, making it one of Bergen's most popular tourist attractions. 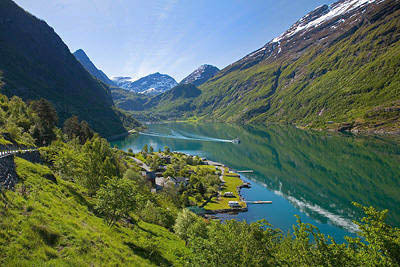 The Geirangerfjord is a 15 kilometres long fjord, located on the western coast of Norway. It is named after the small town in the end of the fjord, Geiranger.The fjord is narrow and surrounded by tall and steep mountains, giving travelers a natural and powerful impression. There are several small towns located along the coast, with a ferry traveling between them. It is one of Norway's most popular tourist attractions. It's also added to the UNESCO World Heritage List, but it's status is threatened by plans of building huge power lines across it. 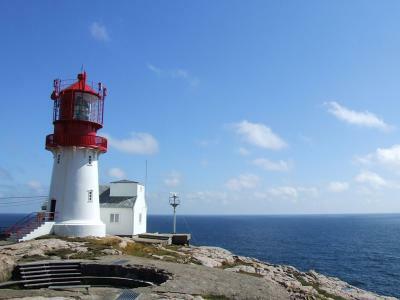 On a peninsula at the southernmost tip of the Norwegian mainland lies Lindesnes Lighthouse. It was first lit in 1655 as the first lighthouse station in Norway. Since then it has been reconstructed several times. The current building is from 1915. It is stil active in guiding ship traffic, and since 2003 it has been operating fully automated. Since 2004 the lighthouse has also been given the role as a lighthouse museum. A huge hall has been built inside the mountain, under the lighthouse building. It is used for exhibitions and movies relating to the lighthouse's history, but it is also used for local gatherings and concerts. During World War II, the site was an important viewing point over the sea. Because of this, a small fortress was built, which one still can see. A restaurant and a souvernir shop is also located in conjunction with the complex. Approximately 100.000 visitors come by the lighthouse annualy. 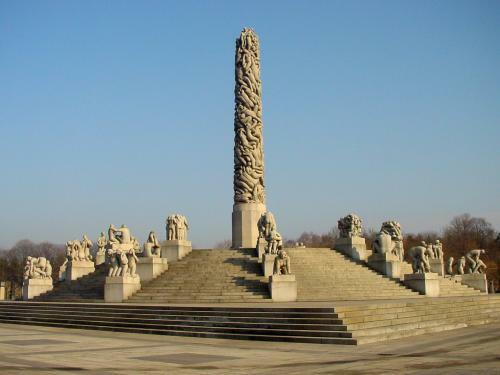 The Vigeland Sculpture Park contain the world's largest collection of sculptures made by one man. 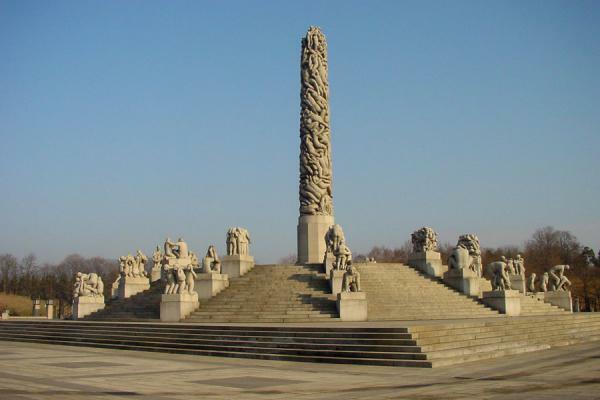 It has 212 bronze and granite sculptures, all designed by Gustav Vigeland. The sculptures are following a Human Condition theme, naked men, woman and children performing some kind of action. Some of the main attractions are the crying Angry Boy (Sinnataggen) and the Monolith. The Monolith is a 14,12 metres tall sculpture compused of 121 human figures crawling towards the top. It took 3 stone carvers 14 years to complete the construction.